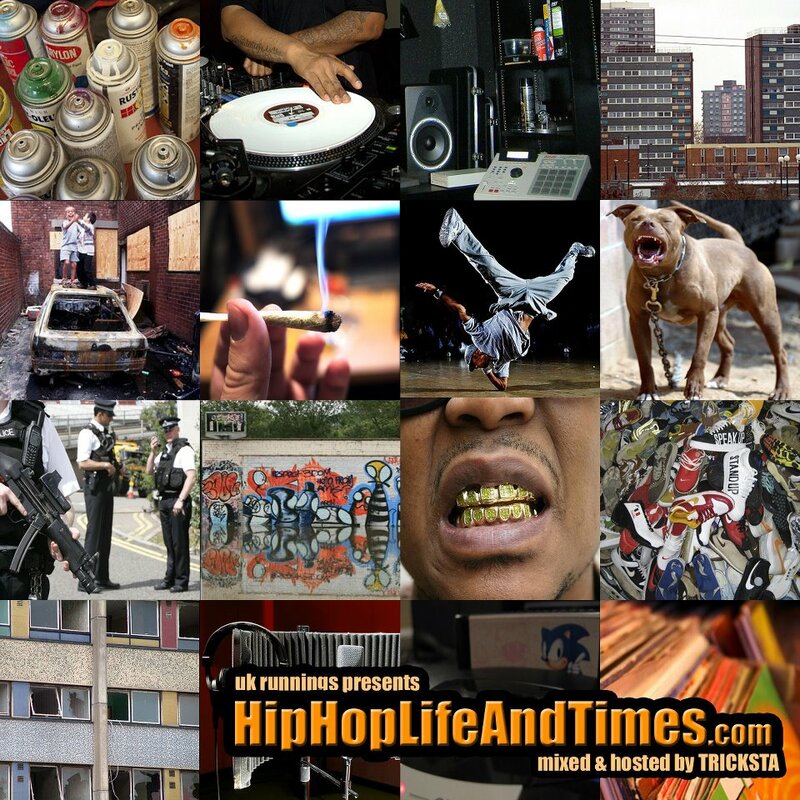 Hip-Hop Life & Times Podcast 2! Evening! Well after the storming success of our first podcast, we thought well we’ve gotta give the public what they need. I’ll tell you now that all our phones have been blowing up since then, none of us have had a spare 5 minutes to ourselves. Coke and Enron and Tescos want to give us all their money, but yo we’re gutter kids yeah we won’t sell out for anything! Anyway aside from that little make-believe, the response was pretty good and so much so we thought we would keep this bi-weekly. This episode we play some classic Immortal Technique, Slick Rick and ODB. As well as the latest underground tracks from Astroid Boys, John Vietnam, Q-Unique, A.C, Tricksta, Reveal, Dr Syntax and loads more. We also update you about our up and coming filming projects with Bristol MCs Twizzy and Jinxsta, and tell you more about The Ruby Kid and Tricksta, the artists that we’ll be interviewing for the future podcasts. This whole episode also demonstrates how to pronounce people’s names wrong; it takes a certain kind of genius that’s for sure. As well as talking about how having a dog is much better than having a child. You can now download it for free or stream it at Archives.org. Click this link to go to the site. You can stream it on the right of the page, and download it on the left if you click the words ‘VBR Zip’. It’s just that easy.